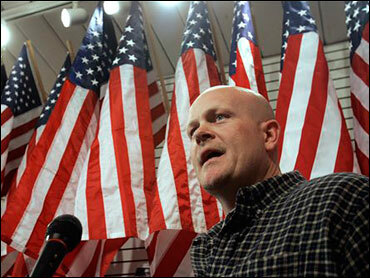 Samuel "Joe the Plumber" Wurzelbacher became famous in 2008 when the John McCain presidential campaign heralded him as an average small business owner. Now, he is an elected official himself. Wurzelbacher won one of nearly 400 seats on the Republican Party committee for northwest Ohio's Lucas County, the Associated Press reports. The group only meets a few times a year to elect the county chairman and sets the party agenda. The McCain campaign held up Wurzelbacher as an example of the blue collar workers McCain said he would support as president, but the Ohio resident later criticized the senator for "trying to use" him. After the election, Wurzelbacher managed to hold onto some of his notoriety, writing a book and even serving briefly as a war correspondent.